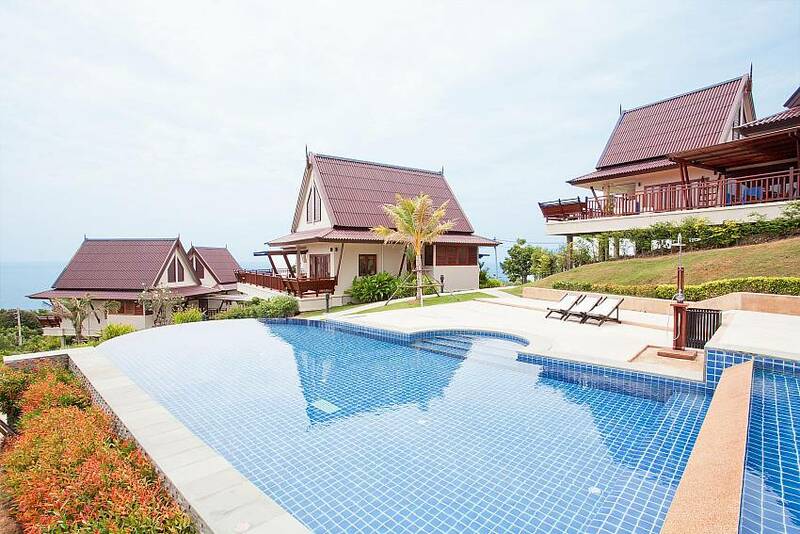 The spectacular location of this attractive two-bedroom villa takes the breath away. Here you can enjoy the very best of tropical splendor as you gaze out over the ocean and enjoy the constantly changing light from morning to sunset and the starry night. 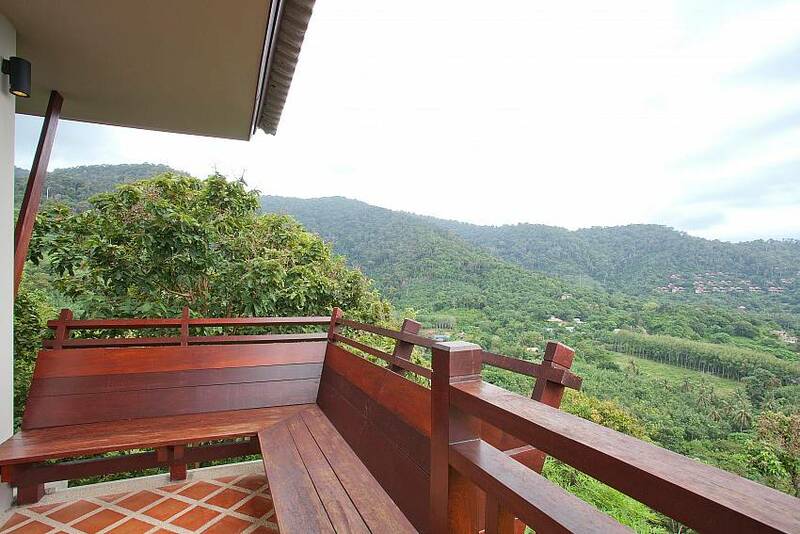 The interior is bright and comfortable and most areas look out over the splendid view. 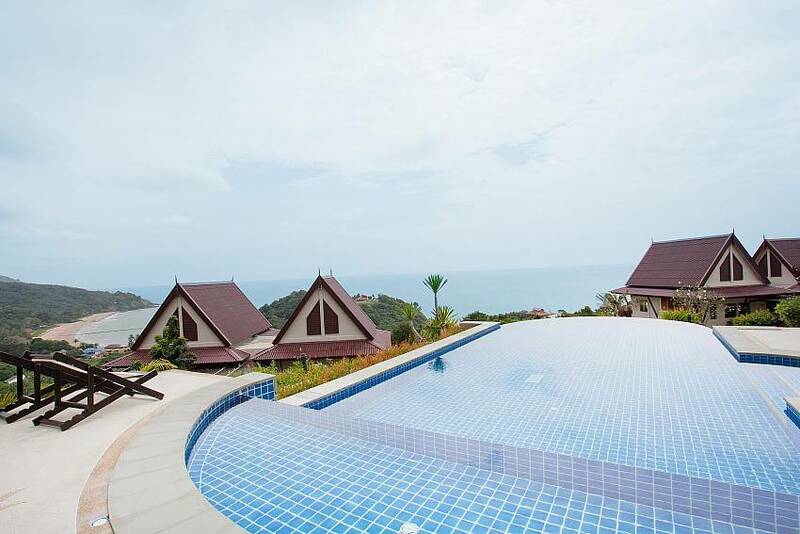 Swimming at the large communal pool nearby is another way to enjoy the amazing ocean scenes from this hillside hideaway. When you can tear yourself away, the beach is just 600 meters away and shops and restaurants are the same easy distance. 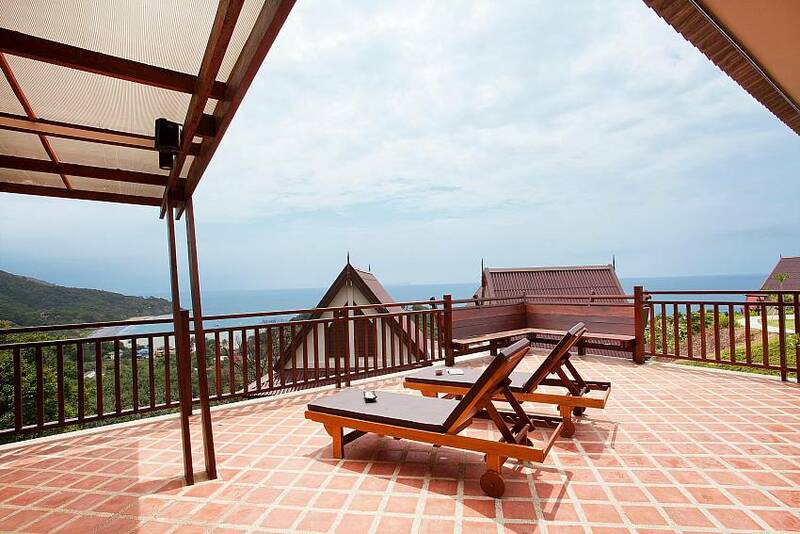 The villa is situated on a tranquil estate overlooking Ba Kantiang Bay on Koh Lanta. 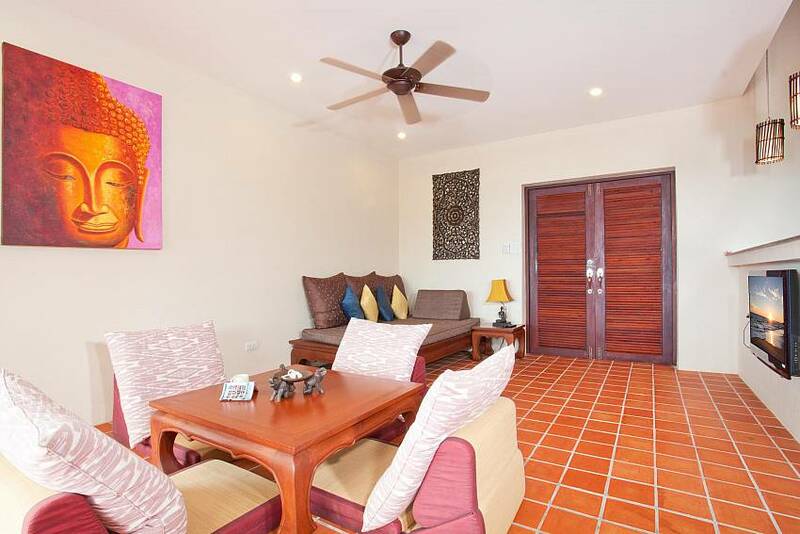 It is just 600 metres to the beach where you will also find restaurants, bars and travel operators. There is a free shuttle service to the beach from the resort. 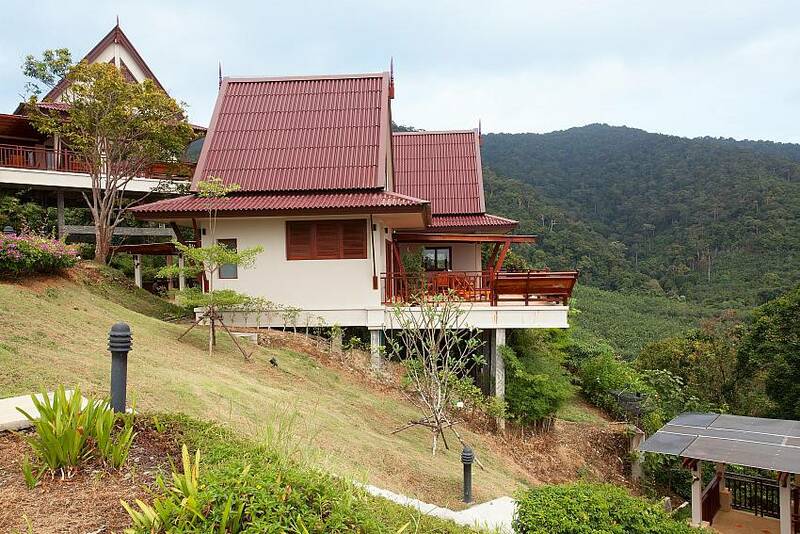 Other local attractions include a waterfall in a forest just 3km away and Mu Koh Lanta National Park is also close by. 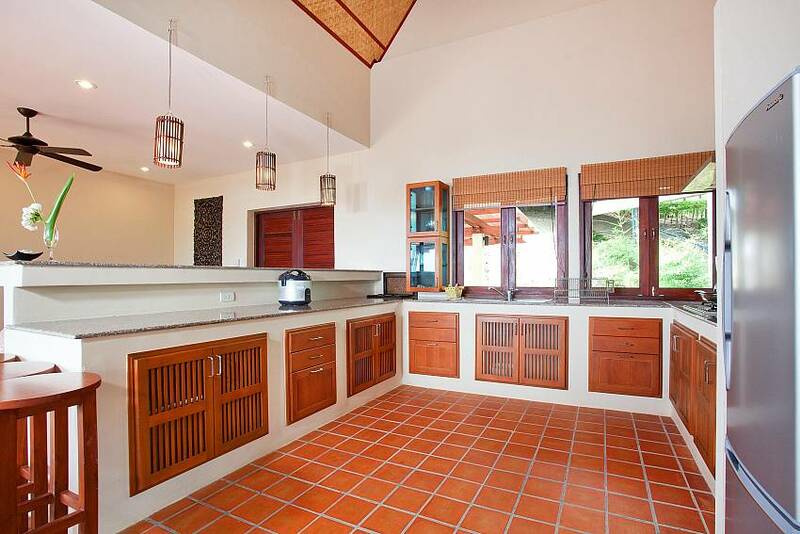 Both bedrooms are handsomely furnished, look out towards the ocean and have queen-size beds. 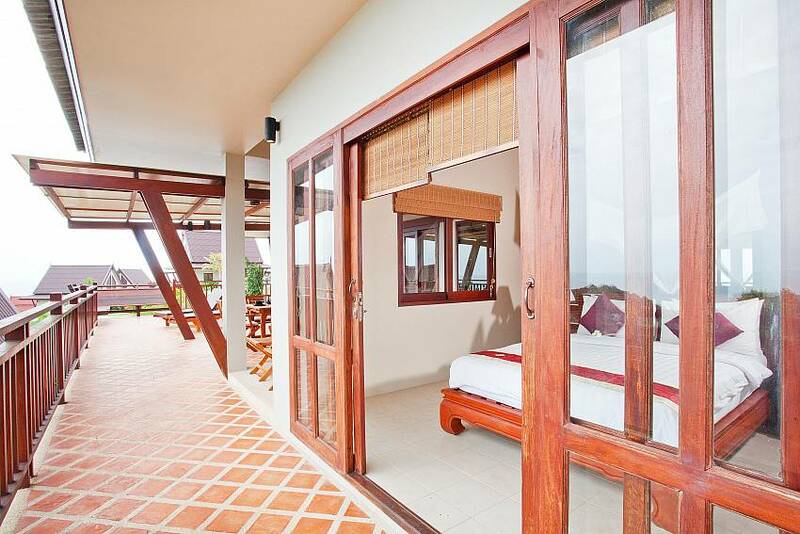 You will enjoy marvellous sea breezes in the bedrooms, but there is also air-conditioning. 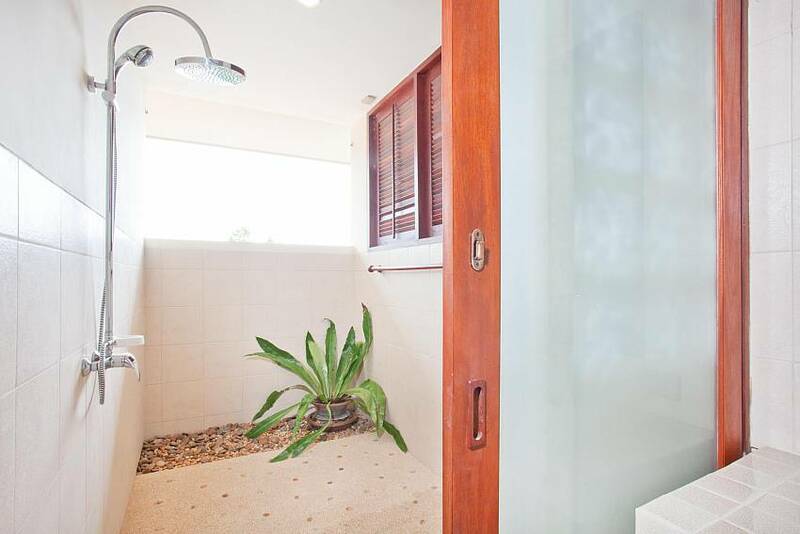 The two bathrooms are modern toilets, wash basins and showers. 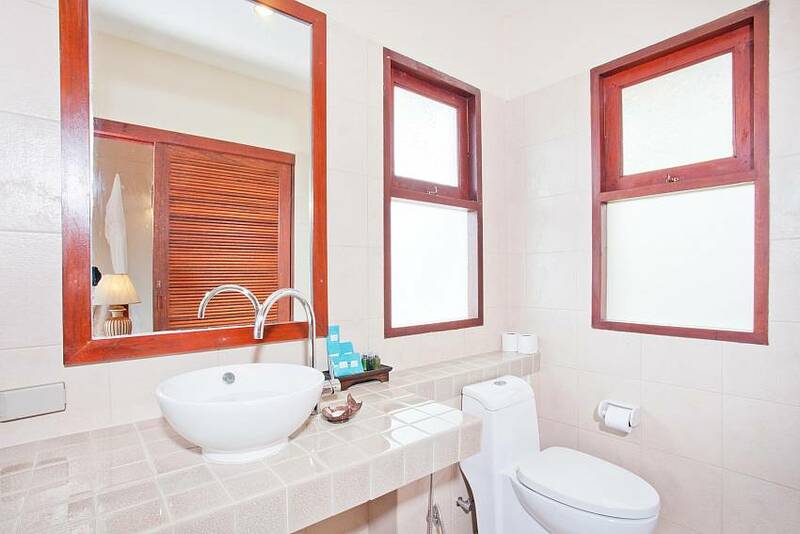 One bathroom has ocean views. 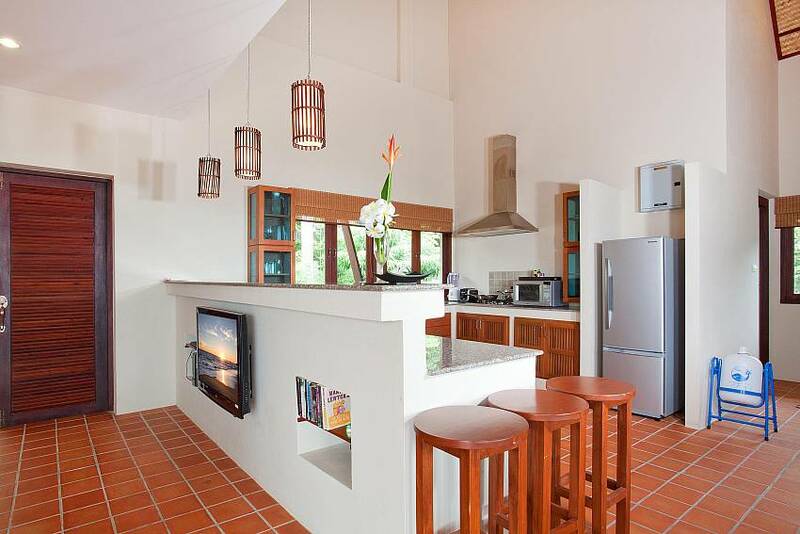 The modern kitchen is equipped with all the appliances you need for easy self-catering, including a refrigerator, oven, gas hob and microwave. There are views of the garden and ocean. The living space is relaxed and comfortable. There is a TV with Internet connection and international channels, and a DVD player for watching holiday movies. There is also a stereo system. 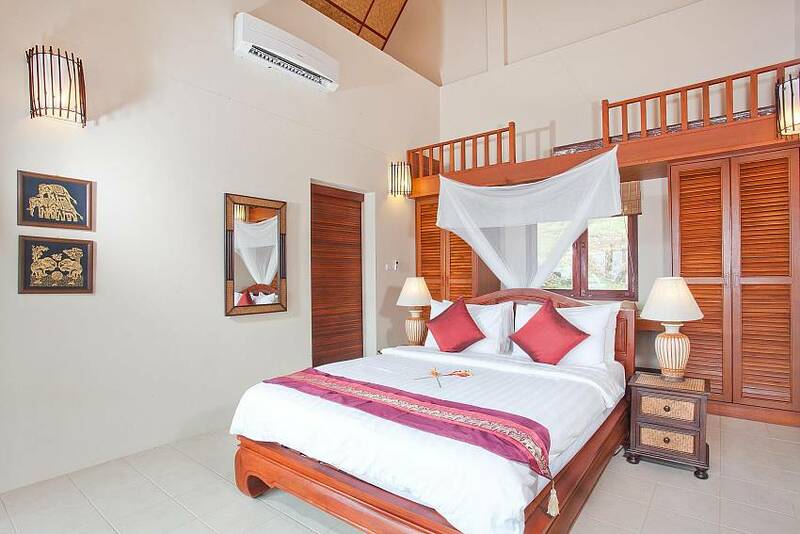 This room has extra sofa/bed space to accommodate two persons, so the villa can actually sleep six persons. 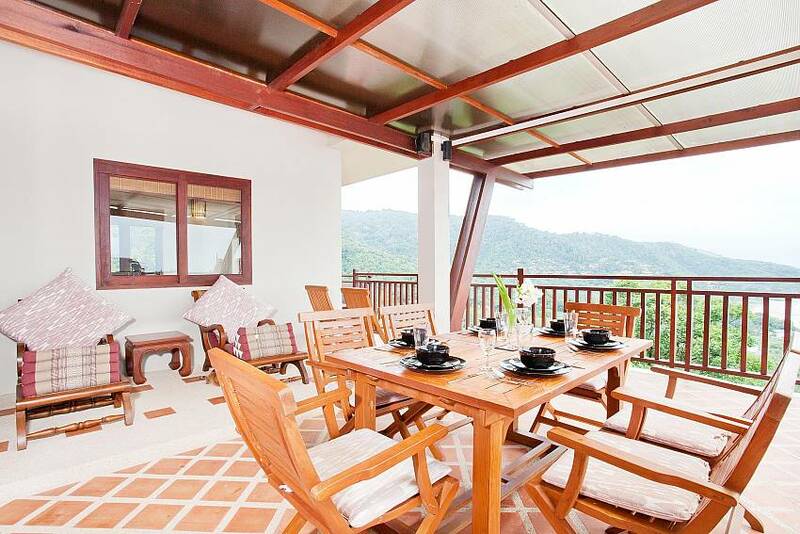 The dining area is outside on the covered terrace where you enjoy the spectacular views with your every meal. There is a large wooden table with seating for eight in this outstanding space.